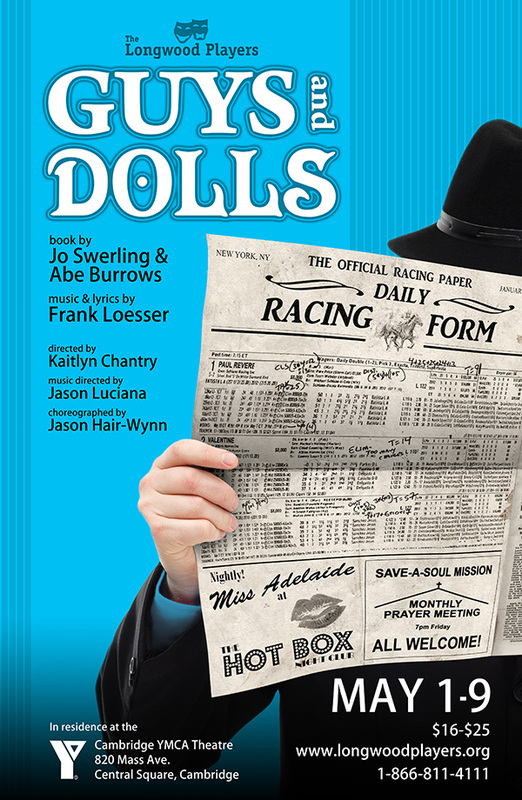 The Longwood Players continues its 2014-2015 season with the classic American musical, Guys and Dolls. Filled with colorful characters and show-stopping numbers, Guys and Dolls tells the story a bygone New York City complete with singing gangsters, sassy showgirls, and straight-laced (and not-so-straight-laced) missionaries. While Nathan Detroit hustles to keep his illegal crap game afloat, his long-suffering showgirl fiancée, Adelaide, pressures him to set a wedding date. Meanwhile, fellow gambler Sky Masterson takes a bet to win the love of Sarah Brown, but she’s more concerned with saving his soul. Through numbers such as “Luck Be a Lady,” “If I Were a Bell,” and “Sit Down You’re Rocking the Boat,” Guys and Dolls travels from Times Square to Havana and back again. Eventually everyone ends up right where they belong, though not where they expected. Photos by Kyle Looney. Explore the entire gallery.